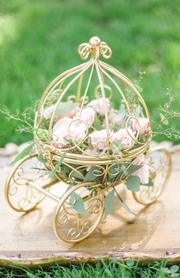 Ideal for gardens and tablescapes, indoors and out, our Galvanized Metal Folding Ball has vintage rustic charm with the trendy design elements of modern day! This sphere is 18" in diameter and the matte silver/gray finish has a slight antique rust color on the edges of the bands. Galvanization is the process of applying a protective coating to steel to halt the formation of rust, giving you a long lasting product! There are 4 bands that swivel, or fold, inside each other and each band is 3/4" wide. This folding ball swivels into a flat circle for easy transportation, storage and shipping. To display, simply move the bands to a full circle or anywhere in between! This sphere weighs 2.8 lbs. 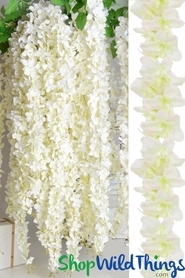 and has a hanging loop, so this fashionable accent piece will jazz up weddings, events and garden parties in no time! 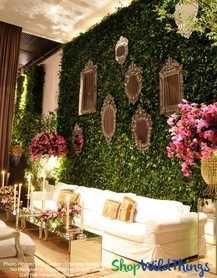 By moving the bands, you can create unique centerpieces and original hanging d�cor. Try hanging butterflies and crystal pendants for a metal/glass contrast and these look excellent with moss, Greenery Garlands and touches of colorful flowers draping from the sides. For a more compact look, Succulents with burlap and moss are perfect elements to enhance the ball. Easy to hang, great for a table, patio or garden, this wonderful accent piece will quickly become one of your favorite design elements! 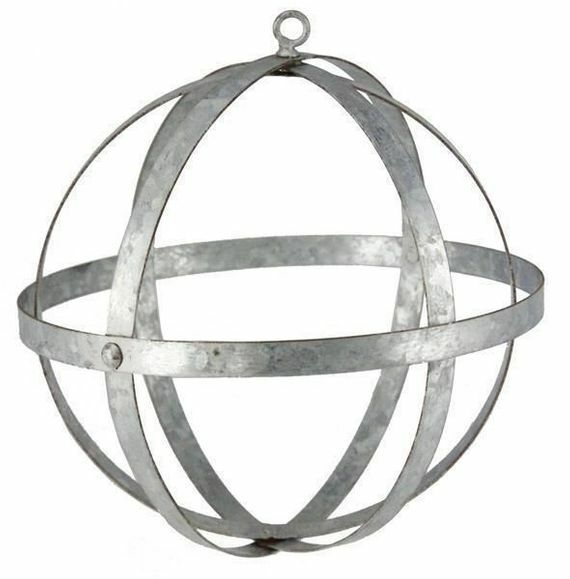 We offer various sizes of this galvanized metal sphere or mix up the look by pairing with our wrought iron folding balls that have a patina finish or our wrought iron folding balls with an antique brown finish. All complement each other very nicely and make an interesting focal point when you hang several in a vertical row, mixing the sizes and colors! The video below shows a similar product that we carry that comes in a set of three, but this item folds flat just like those in the video. So handy!